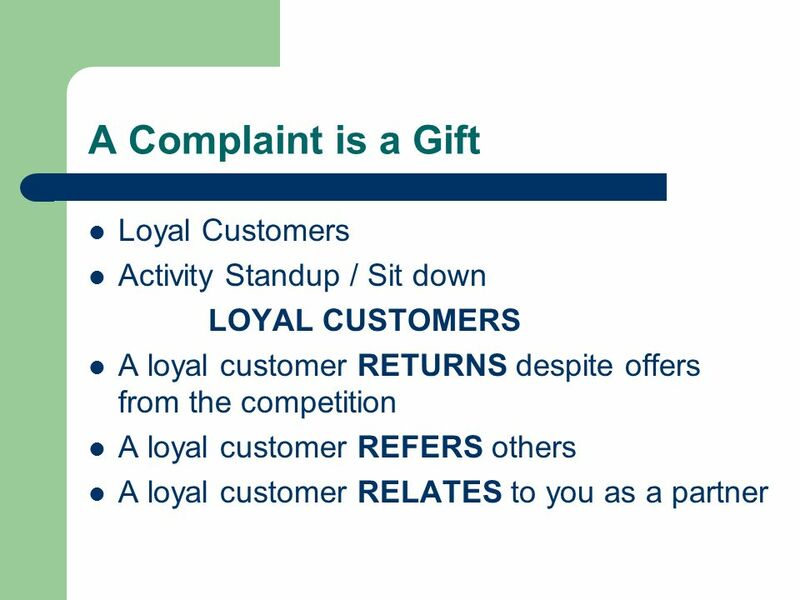 A Complaint is a Gift?! 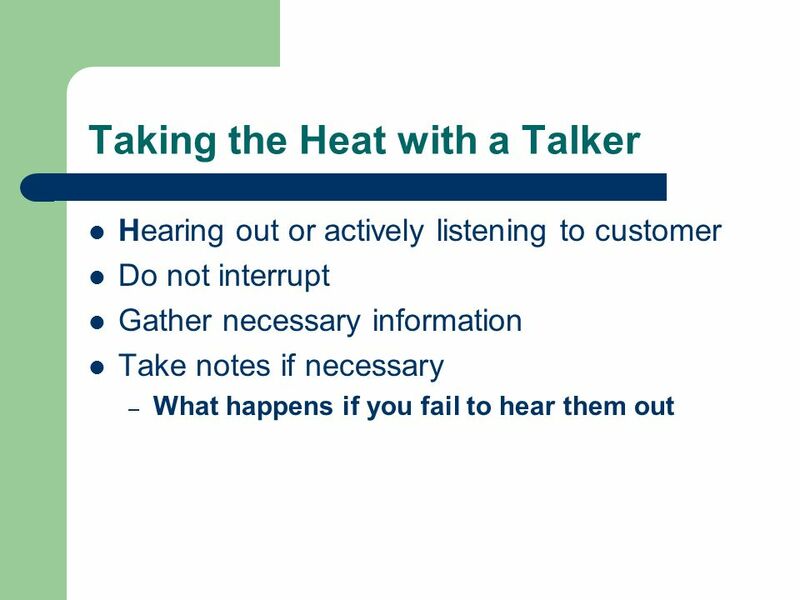 Customer Service skills for any business. 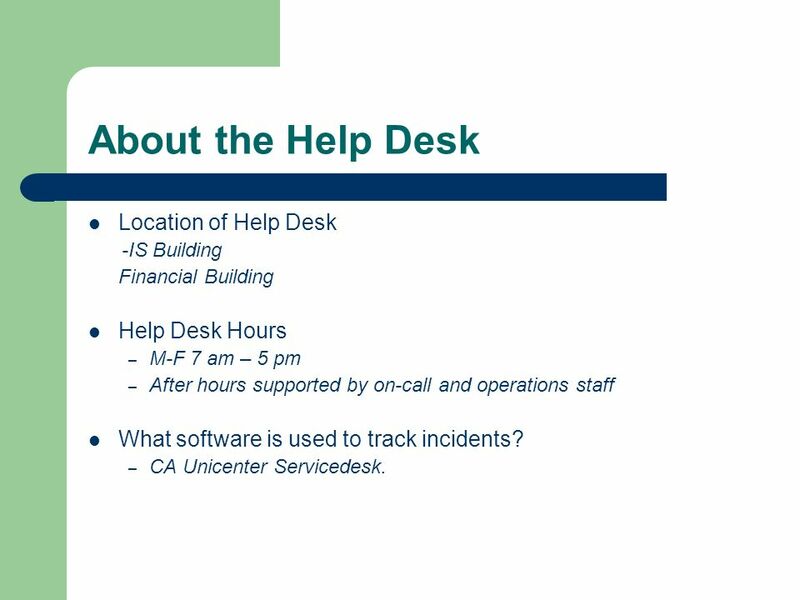 4 About the Help Desk Location of Help Desk -IS Building Financial Building Help Desk Hours – M-F 7 am – 5 pm – After hours supported by on-call and operations staff What software is used to track incidents? – CA Unicenter Servicedesk. 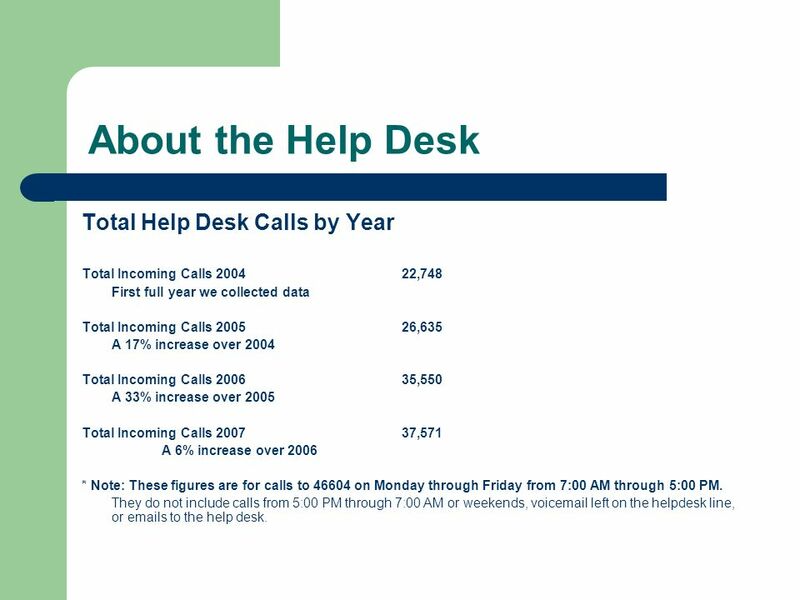 5 About the Help Desk Total Help Desk Calls by Year Total Incoming Calls 200422,748 First full year we collected data Total Incoming Calls 200526,635 A 17% increase over 2004 Total Incoming Calls 200635,550 A 33% increase over 2005 Total Incoming Calls 200737,571 A 6% increase over 2006 * Note: These figures are for calls to 46604 on Monday through Friday from 7:00 AM through 5:00 PM. They do not include calls from 5:00 PM through 7:00 AM or weekends, voicemail left on the helpdesk line, or emails to the help desk. 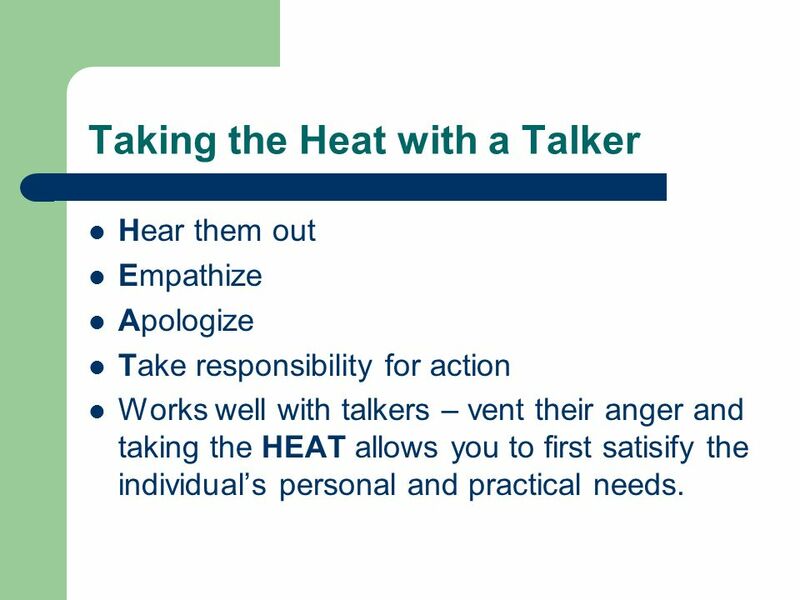 13 Taking the Heat with a Talker Hear them out Empathize Apologize Take responsibility for action Works well with talkers – vent their anger and taking the HEAT allows you to first satisify the individuals personal and practical needs. 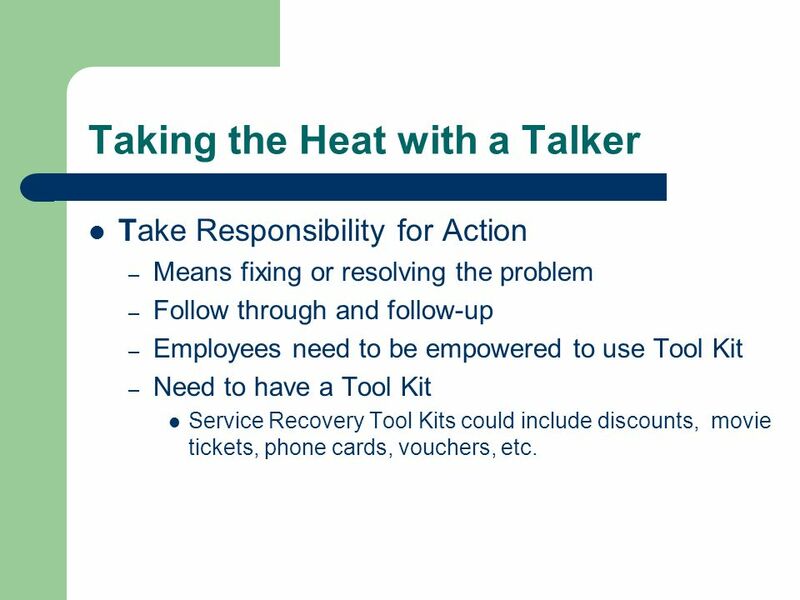 17 Taking the Heat with a Talker Take Responsibility for Action – Means fixing or resolving the problem – Follow through and follow-up – Employees need to be empowered to use Tool Kit – Need to have a Tool Kit Service Recovery Tool Kits could include discounts, movie tickets, phone cards, vouchers, etc. 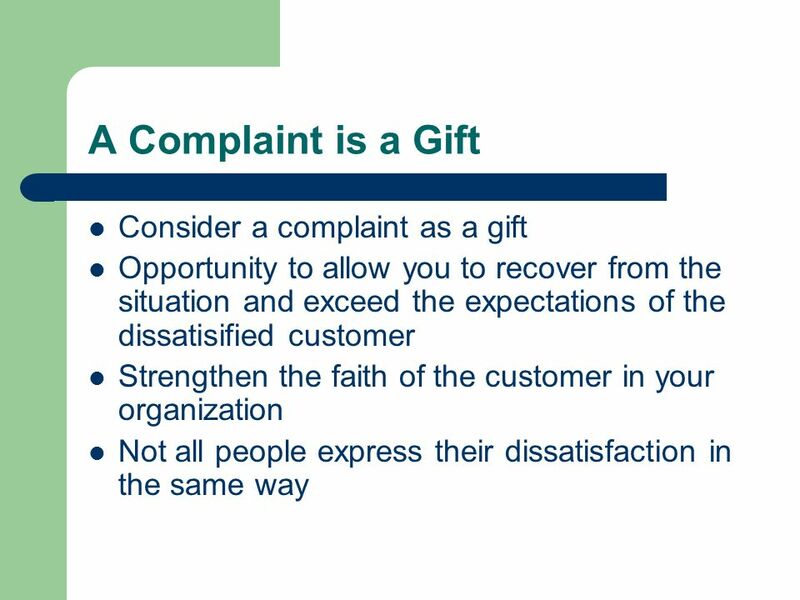 Download ppt "A Complaint is a Gift?! 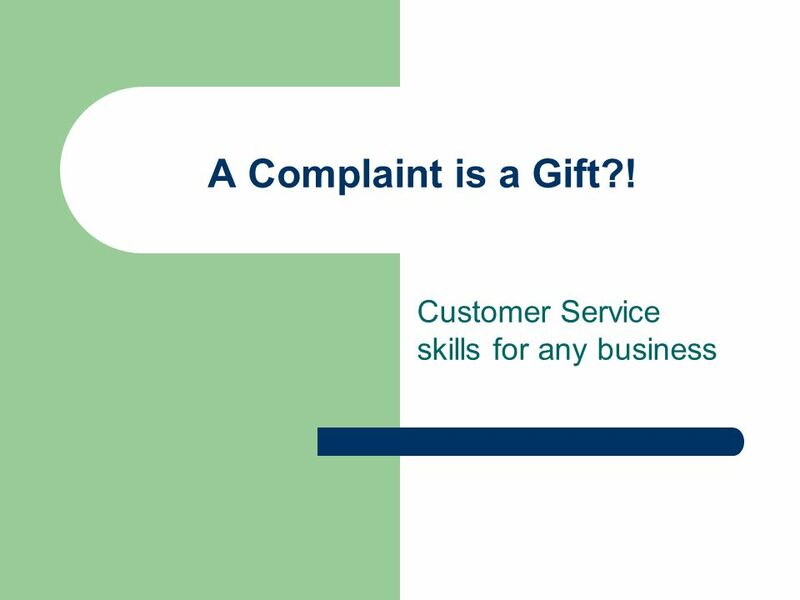 Customer Service skills for any business." Welcome to AreaColumbia MentalHealthCenter. Hours of Operation Monday – Friday 8:30 AM to 5:00 PM. Service Recovery Leadership Development Series Hillsdale Community Health Center. SESSION OBJECTIVES At the conclusion of this training session, we will understand: How we demonstrate Compassion in our work unit Ways in which Compassion. How Are We Connected? 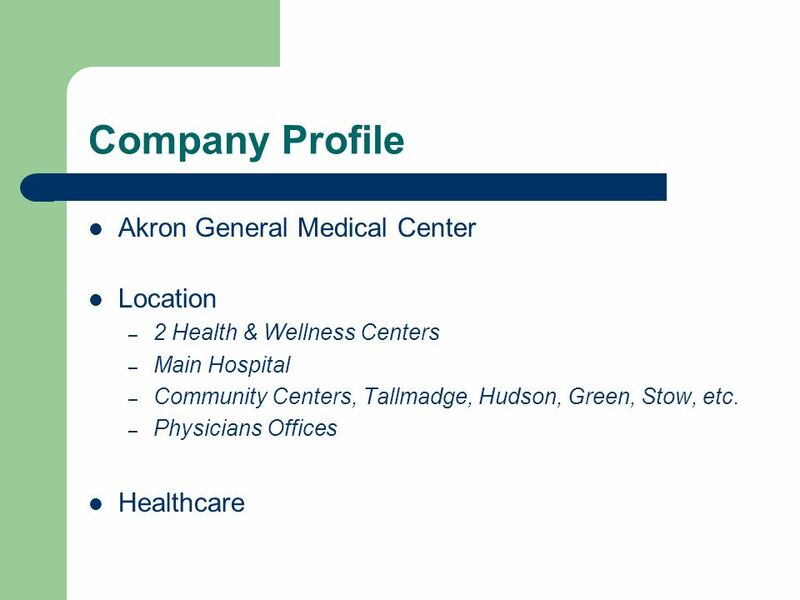 Our Patients, Staff…& You Food & Nutrition Services: Bedside Bistro. Recovering the Lost Customer. Why try to recover a potentially lost customer? 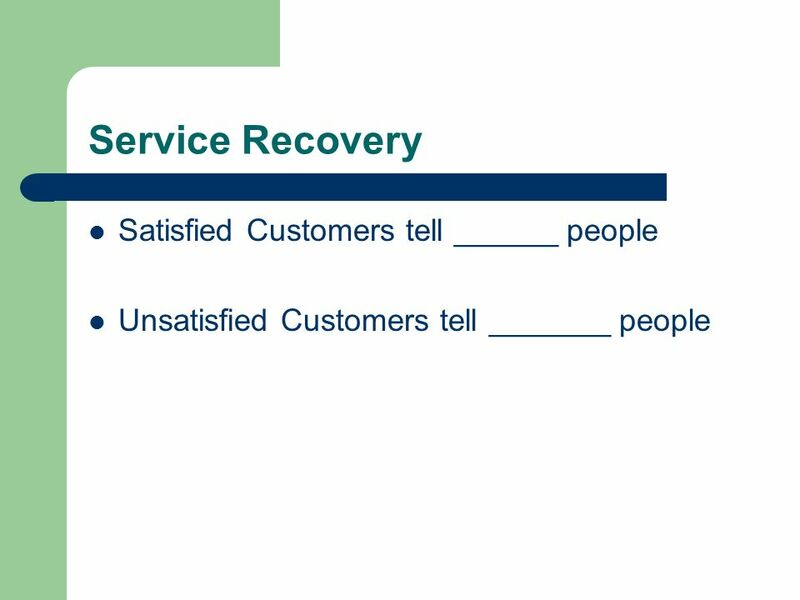 Studies show that recovered customers will give a company more business. WRSU Customer Service The Beauty of Change. 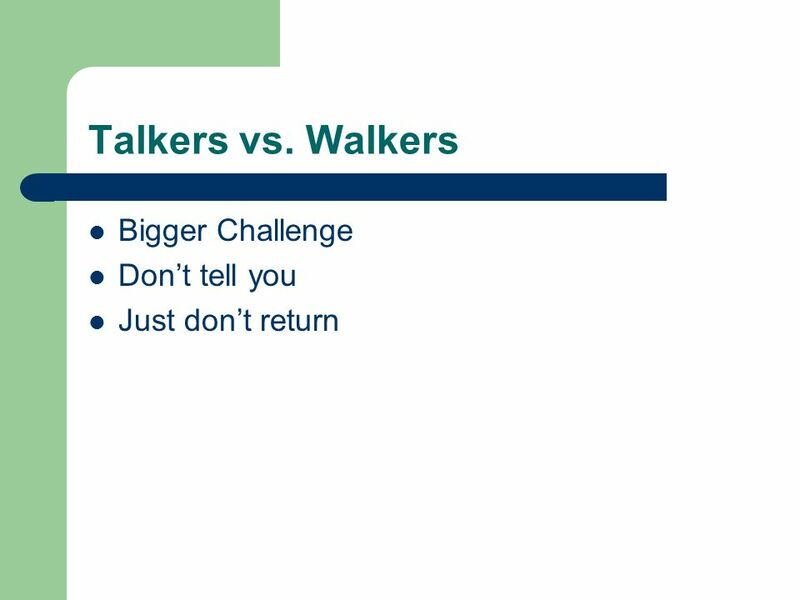 Foreword It is your responsibility to ensure caller satisfaction with your department. 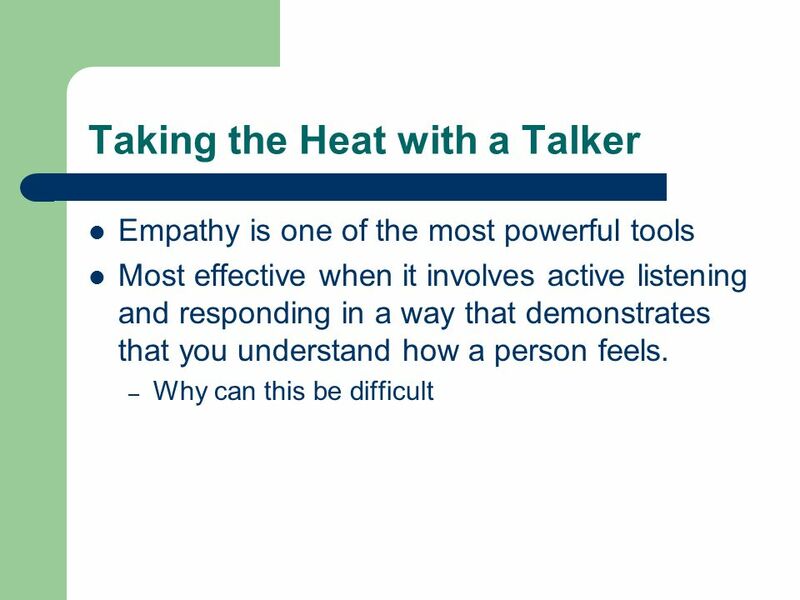 Working with Citizens: Delivering Great Service to Residents and Customers Prepared and Presented By Alan Vandehaar Iowa State University Extension & Outreach. 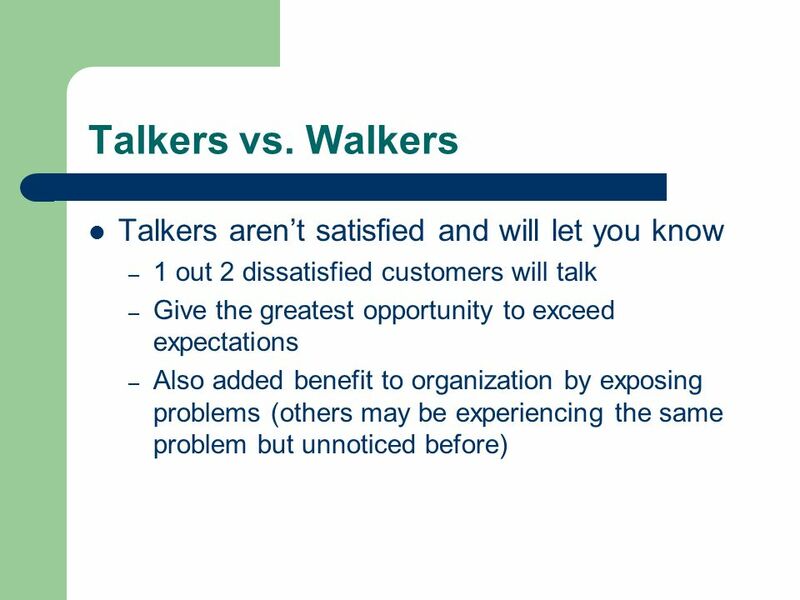 Objectives  Why customer service is important  How to best utilize your team for effective customer service. 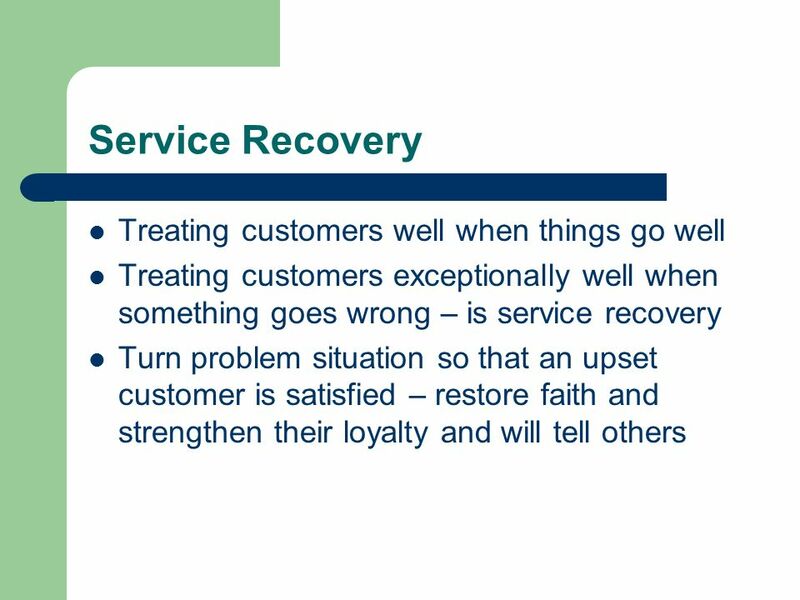 How to restore customer confidence and regain goodwill after a dis-satisfying experience Customer Recovery. Shaping Our Future. Know your customer External Those who buy your goods and/or services Internal Those with whom you work every day – your teammates. 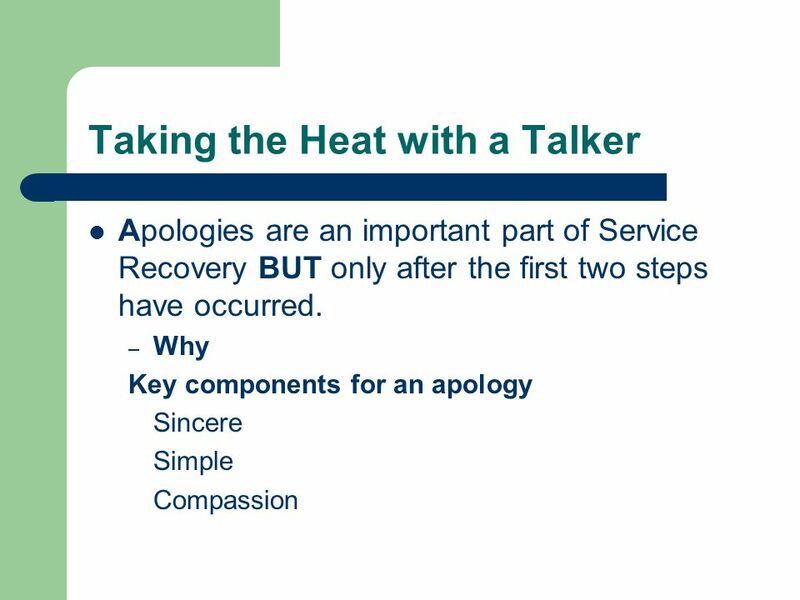 Complaint Handling and Service Recovery. 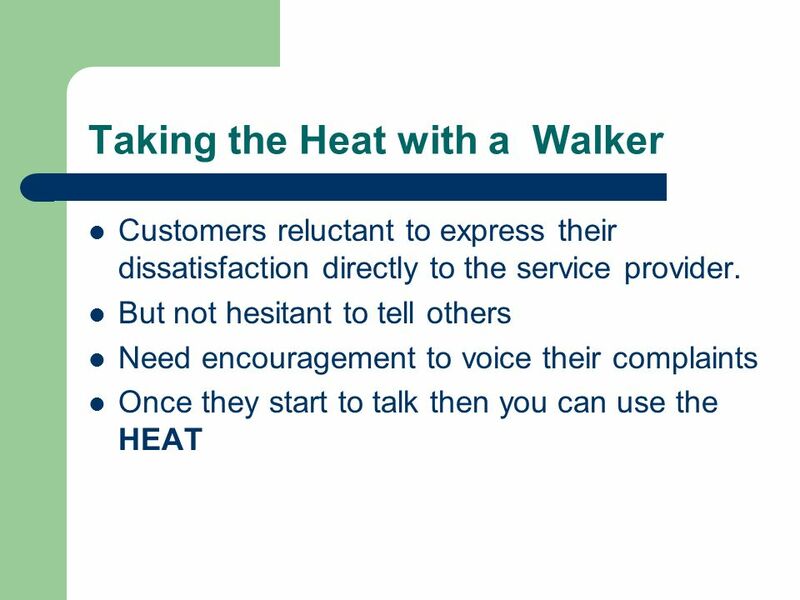 Think of a time when, as a customer, you had a particularly satisfying (or dissatisfying) interaction with service.